It is not easy running an independent garden centre in Canada. Across our wide, northern country, local growing seasons can last anywhere from three months to 10. We have a diverse cultural market. The most lucrative customers are Boomers, and they are finding it harder to garden. The younger Millennials are minimalists and Internet savvy. As a result, many owners have to be creative and versatile in order to maintain and grow their market. They have tried everything from clothing to cafés, with varied success. 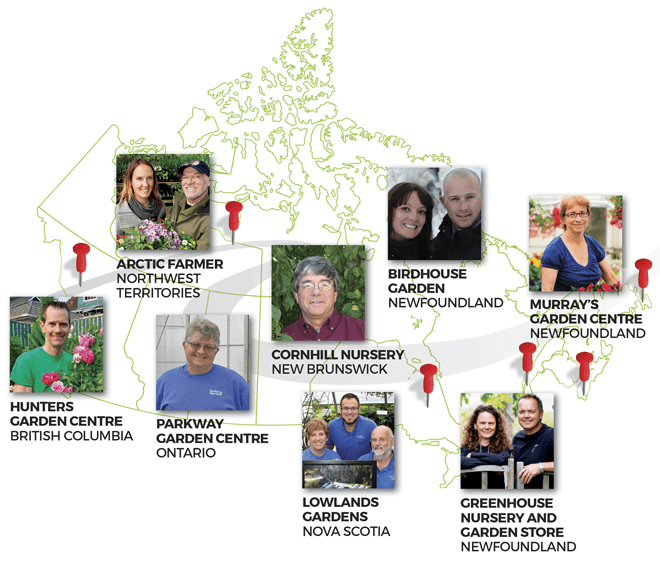 For this story, garden centre owners from Newfoundland to British Columbia; Ontario to the Yukon shared their challenges, concerns and creativity. Garden centre owners have had a positive season across the country, ranging from good to fantastic. In many locations, the season started slowly due to cool, wet weather, but picked up and surpassed last year by mid-summer. Tony van den Hoek of Lowland Gardens in Great Village, N.S., says his 2017 season was, “fantastic, the best one ever!” He credits a new 5,500 sq. ft. greenhouse addition for retail display of perennials and annuals as one reason. In another plus, Tony and Gerrie van den Hoek’s son, Michael, joined the business full time. Lynne Kring, general manager of Parkway Garden Centre in London, Ont., echoes the sentiment. “Our season so far has been fantastic.” She attributes it to Parkway’s year-round, extensive plant selection and scant number of garden centres in the area. Birdhouse Garden Market in Happy Valley-Goose Bay, N.L., is selling more “big annual baskets and more finished product,” says Bernard Bird, co-owner with his wife Christina Bird. Sean Dolter, co-owner with wife Kim Thistle of The Greenhouse Nursery and Garden Store in Little Rapids, N.L., agrees: “Big, bold baskets, large size barrels and colourful containers, vegetable containers with ornamental edibles” are top trends. However, he noted, bedding plant sales seem to be dropping off, as his customer base changes. Carine Pattin, co-owner of Arctic Farmer in Yellowknife, N.W.T., says they are seeing more sales of berry plants, especially haskap. And Dolter agrees, “A top trend would be the need to grow your own food.” Birdhouse Garden Market sold more vegetable starters and more organic or natural products. The van den Hoeks of Lowland Gardens provided more custom planters and containers, as well as larger plant material. They sold completed fairy gardens, as well as specific plants and miniature figures for customers to create their own. The Greenhouse Nursery and Garden Store doubled its hanging basket display, providing four layers of baskets with automated drippers on each level. “The customer impact has been fantastic,” says Dolter. He says the big risk they had to take was removing the classic benches displaying bedding plants. Now they display a smaller sampling of those, and keep refilling from their production stock greenhouse. Hunters Garden Centre in Vancouver have seen significant growth in indoor gardening over the past three years, including houseplants, cacti and succulents. So they increased space for succulents, and have seen a 50 per cent increase in sales. “Starting our planting season later so the finished product comes later in the season makes for less work up front, and less time tending to the plants,” says Bird of Birdhouse Garden Market. “It’s a win for the customers and us,” he says. Osborne creates his own dramatic flower arrangements throughout Cornhill’s retail centre and café. He says it’s amazing how the colour in the arrangements drives sales. Parkway Garden Centre offers an “up potting” service. When customers purchase a plant and container, whether for indoor or outdoor, the staff will pot it at no additional cost. “This has increased sales greatly,” says Kring. The Greenhouse and Garden Store has a twist on potting, offering a U-pot DIY area, that is getting more and more use. Pattin in Yellowknife says customers depend on them to trial plants to make sure they will survive in the area, thus setting their own garden trends. Mock orange has been a hit this year, now that clients know it’s safe to plant. Cafés are becoming more common at garden centres. Osborne says his café is “doing what we hoped it would.” It provides a place for customers to rest and cool off during shopping, while enjoying a drink or meal. It’s also a destination for customers, who can stroll the display gardens and do a little shopping afterwards. Murray “undertook a considerable modification of the garden centre, putting in a 1,000 sq. ft. farm-to-table café.” Since the garden centre is located on a 200-year-old working farm, Murray decided to highlight that feature as an attraction. “The hope is that the café will provide a year-round draw for locals and tourists alike, thereby offsetting what is typically the slower fall and winter seasons,” he says. Garden centres tend to be active in community involvement and support. Most efforts go unheralded, but our interviews uncovered three: The Greenhouse Nursery and Garden Store in Newfoundland provides Community Supported Agriculture baskets. “As our flowers begin to vacate, we begin to back-fill the greenhouses with vegetables, feeding 40 families per week for 15 weeks,” says Dolter. “This gives our employees a few extra months of employment, a great boost, and utilizes some great growing space. Our website links our weekly offerings with recipes and other cool DIY cooking ideas,” he says. Lowland Gardens holds celebrity designer contests; the resulting container creations are auctioned off to benefit charities. Artists in the Garden, hosted by Cornhill Nursery, features artists and craftsmen from across the Maritimes displaying their work for sale; all surrounded by the colours, textures, and fragrances of the gardens. Then there are the winter activities — Halloween and Christmas displays, teas, yoga, reading in the greenhouse and year-round retail products. 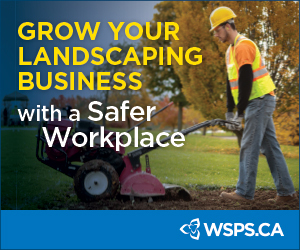 Add these initiatives to all of the on-site workshops, contests, training, petting farms, cafés — plus websites, blogs, and Facebook page updates that garden centre owners and staff also do, and it has changed garden centres into more than just places to purchase plants. Customer trends and demands cannot be ignored, and owners and staff are finding creative and amazing ways to satisfy their markets. Carol Matthews is a garden writer living in Truro, N.S. She has travelled Europe and North America visiting and writing about gardens for newspapers, magazines, books, and on-line sites for the past 20 years; she has gardened for much, much longer.